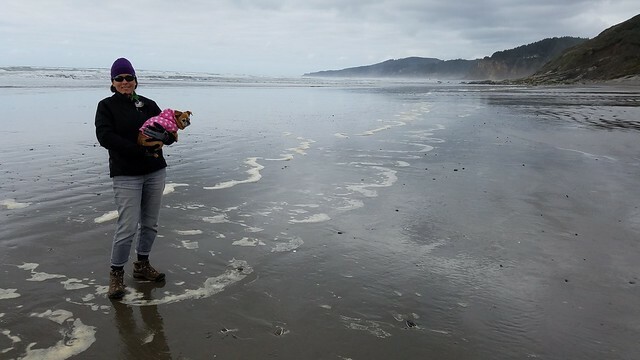 The South Oregon Coast was our destination for Spring Break this year. 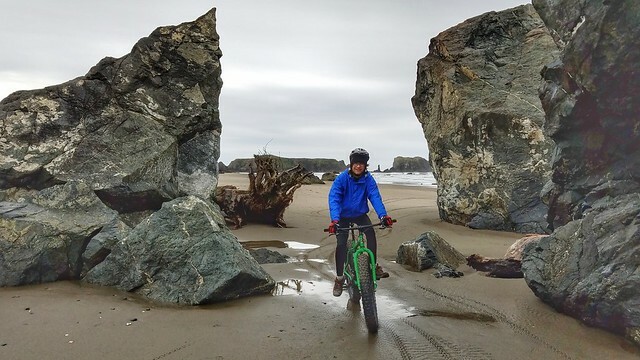 Internet research for this trip led me to the city of Bandon, a small coastal town surrounded by state parks and miles of wide, rideable beaches. 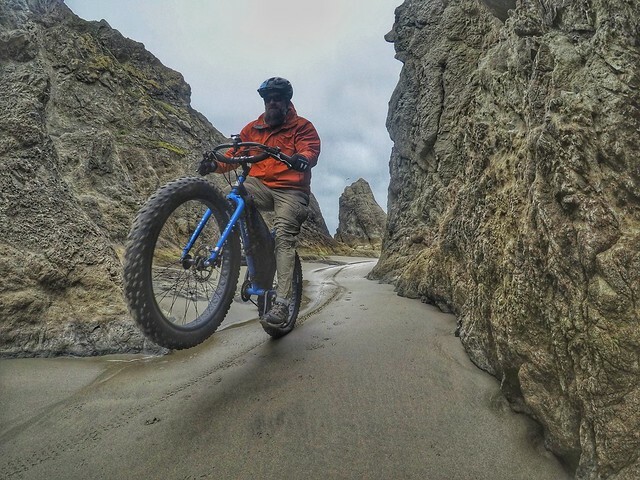 We brought our fat bikes on this trip, hoping to explore the coast in an all new way. 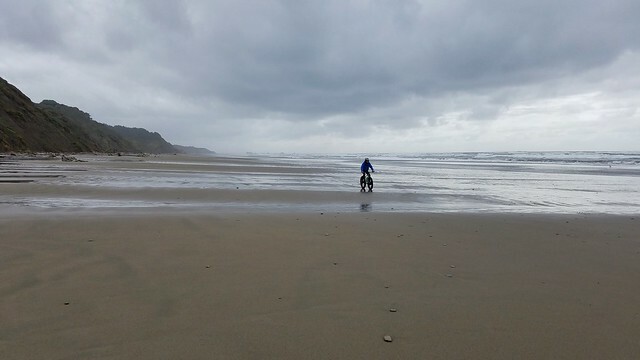 Just north of Bandon, we made Bullards Beach State Park our base of operations. The campground has a few yurts that can be reserved in advance. 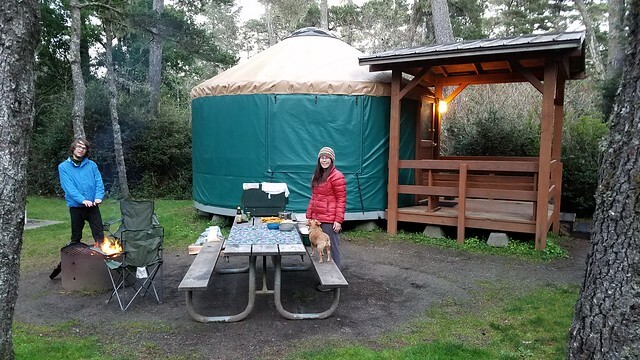 This was our first time in a yurt, and it turned out to be the perfect choice for early season camping. It rained a lot during our visit, and the yurt kept us dry and comfortable when we weren’t out exploring. 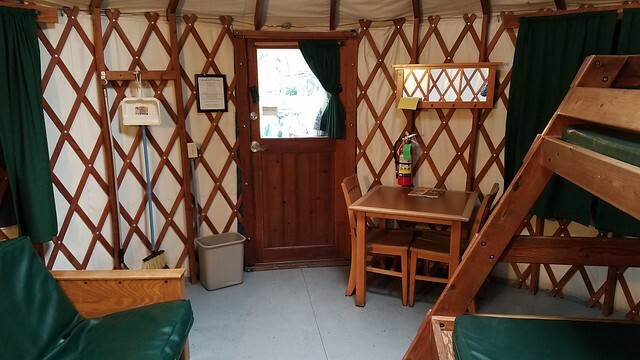 Our yurt had a bunk bed (single on top, double on bottom), a futon style couch, small table and chairs, electricity and heat, and a locking front door. 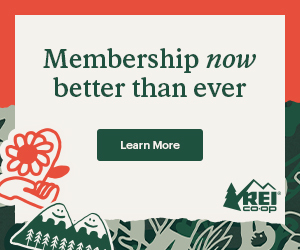 You just need to bring your own sheets and/or sleeping bags. Nearby restrooms have free showers. There is no cooking in the yurt, but a covered porch provides shelter in the rain if you can’t setup your kitchen on the outdoor picnic table. Definitely luxury camping! 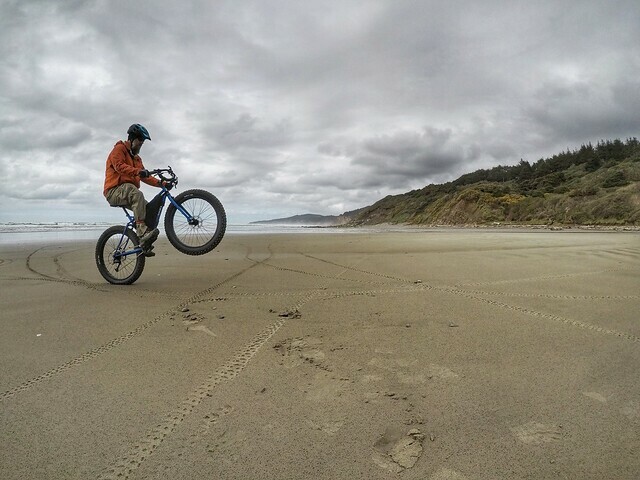 The beach is about a mile ride from the Bullards Beach campground. 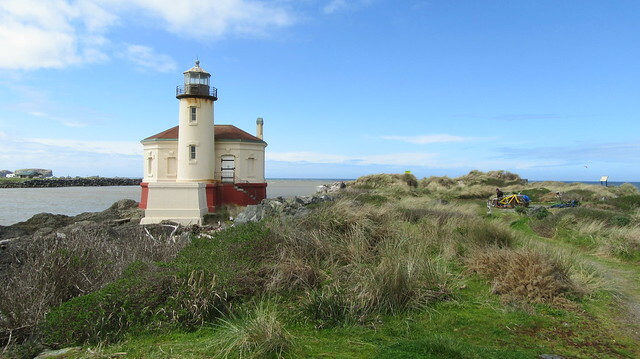 Once at the beach, it’s possible to ride several miles to the north, or south about a mile and a half to the jetty of the Coquille River and Coquille River Lighthouse. We opted to ride down to the lighthouse for lunch, and it made a nice spot to rest out of the wind. Our way south was into the wind, and provided a good workout! 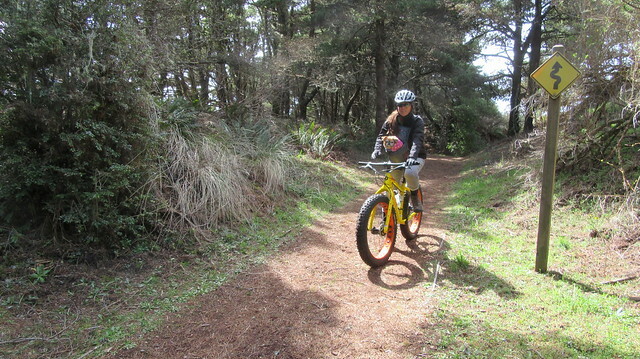 On the way back, though, we barely had to pedal, flying down the beach. There are a lot of trails in the park to explore as well, but some of them were swamped due to the recent rain. The next day we drove to Seven Devils State Recreation Site north of Bandon. It’s off HWY 101 a ways, and has a remote setting to it. The trailhead has restrooms and picnic tables above the beach on a grassy overlook. The beach can be ridden in either direction here, although having a low tide helps greatly with passage around some of the rocks. 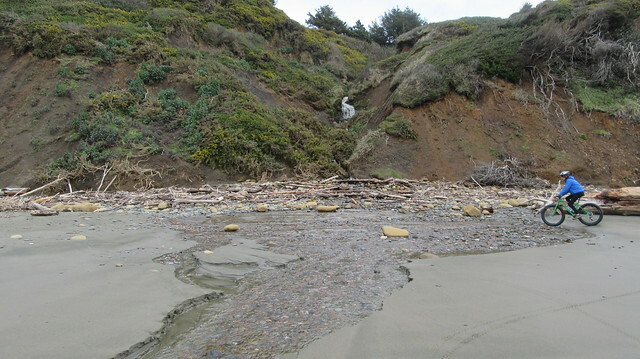 The beaches are below high cliffs, and plentiful water runoff keeps the sand wet even above ocean level. 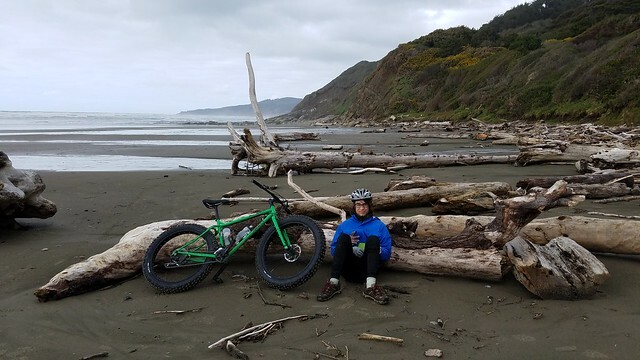 The sand is so firm here, that even a regular mountain bike would not have trouble on the beach. We also had no wind on this day, making this our favorite ride of the trip. 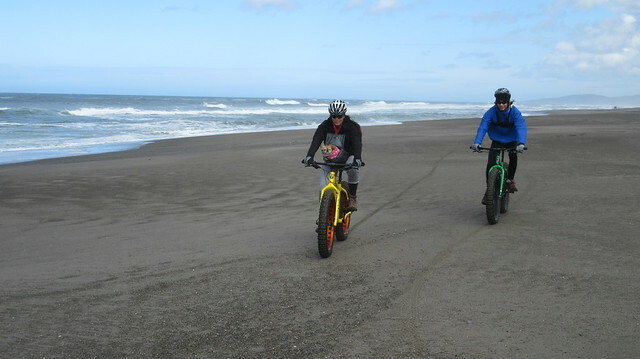 Our third and last ride was a quick one out to Coquille Point from the south jetty in Bandon. It was windy and rainy this day, so we didn’t go as far as we would’ve liked to. Still, in just a short ride, we saw some amazing scenery. The big rock formations on and off the shore added a bit of mystery to the foggy landscape. Water crashed through offshore sea caves. 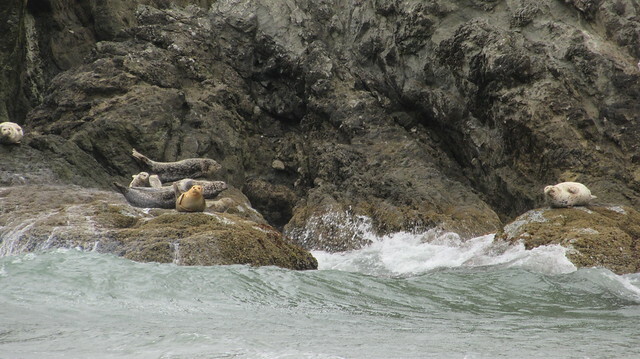 Seals watched us from the rocks. 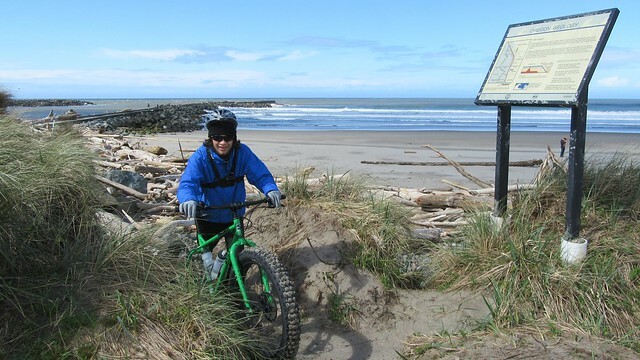 A short portage over the driftwood at Coquille Point allows access to a lot more riding to the south. 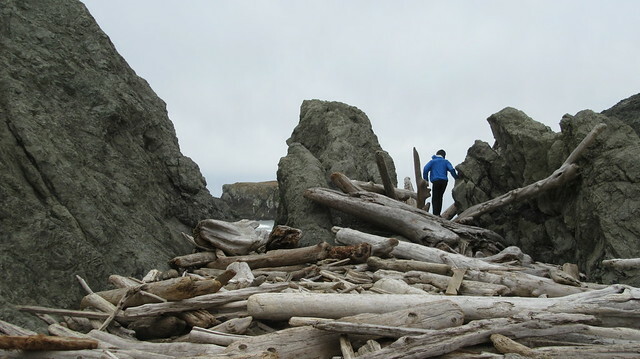 We opted for exploring the windbreak of the rocks at the point before returning to the jetty. We had just a sampling of what this area has to ride, and we had a blast! 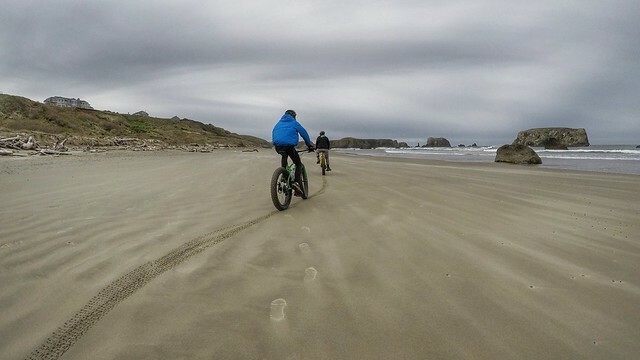 We’ve added Bandon to our list of favorite beaches to visit. 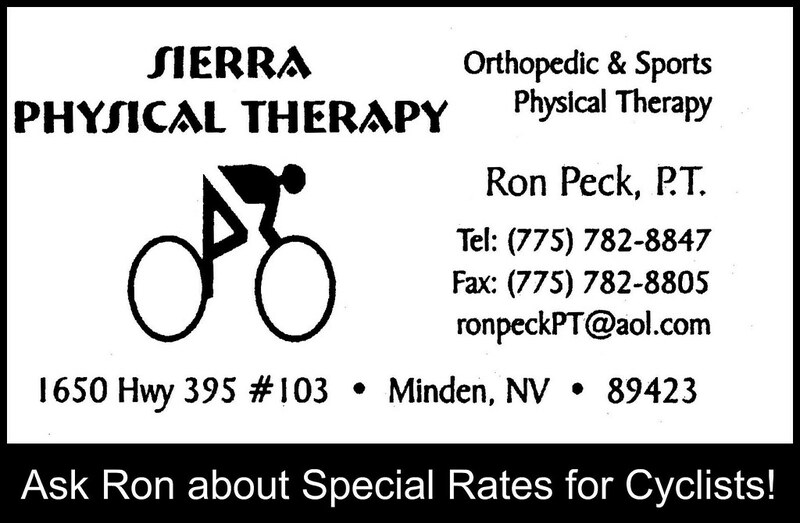 We really enjoyed the extended range of the bikes, as we got to see more than we normally do on foot. 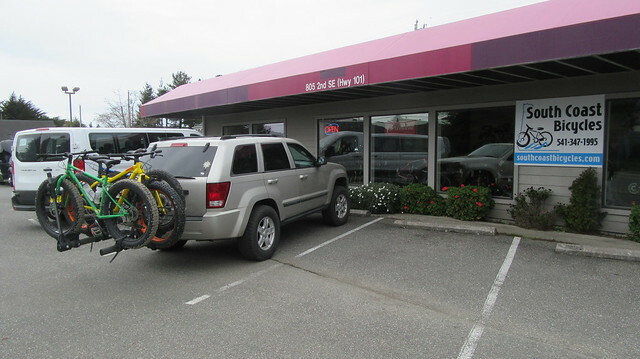 In addition to the beach riding, there are other trails and road rides to be found around Bandon. We’re looking forward to returning to explore some more. This was also one of our first bicycle vacations with dogs. It can be hard biking with our dogs, because they are so small. The easy beach terrain allowed us to bring them this time, and we used chest carriers to transport them when they got tired of running. They ended up having a blast too! Food and Drink: Good seafood can be found downtown on the wharf in Bandon. 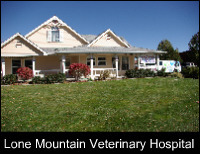 Cheese lovers must visit the Face Rock Creamery! Most of the supermarkets have a good selection of local beers. 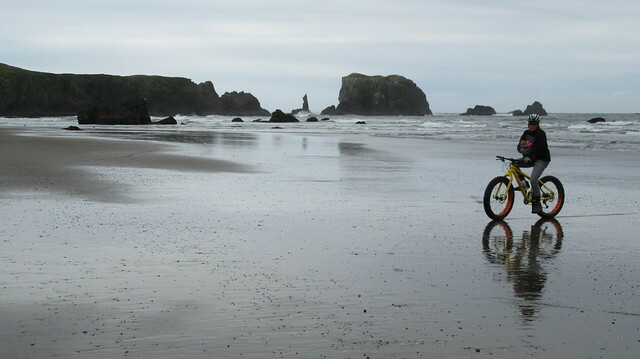 Bullards Beach State Park: Great place to start rides from, and only a short drive from Bandon. The campground is very well taken care of. 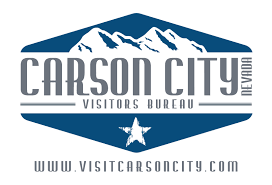 There are other State Parks in the area worth considering too. Keep your bike out of the ocean! I knew this going in, but I timed a wave wrong and soaked my bike. Although I rinsed the sea water off back at the campground, I still woke up the next day with a rusty drivetrain. It didn’t help that it rained on the bikes for hours on our drive either. 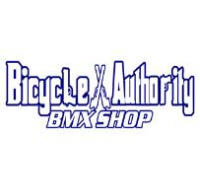 Be sure to bring lots of chain lube and something to wipe stuff down with!